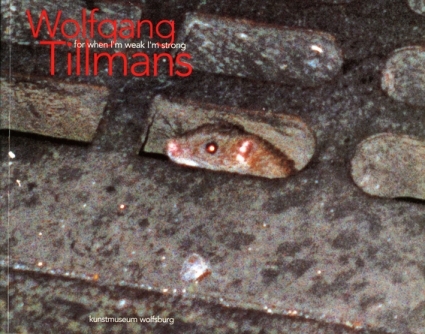 Published on the ocassion of his exhibition 'For when I'm weak I'm strong,' at Kunstmuseum Wolfsburg, this picture book gives insight into the photographic work of Wolfgang Tillmans. In exhibitions as well as in magazines, Tillmans has until now been primarily received as a chronicler of the youth culture of "Tech" or "Generation X", but his photographic work, which straddles the boundaries between fashion, art and reporting, is considerably broader in range. In addition to fashion photographs and magazine features which substantiate Tillmans' reputation, groups of work like landscapes, still lifes, portraits and depiction of nudes are shown for the first time in this publication as well. Installation photos from the last few years illustrate his specific forms of presentation: Tillmans considers it to be part of his work with photos when he deliberately mixes formats, does without frames and treats originals and reproductions as equals. Introduction by Gils Van Tuyl. Texts by Annelie Lütgens, Helen Molesworth, and Collier Schorr.